Unfortunatly at submission, returns this error. We have passed the jotform URL but continues like this. It works fine outside their Office, at mobiles, and our connection. Apologies for any inconveniences caused. 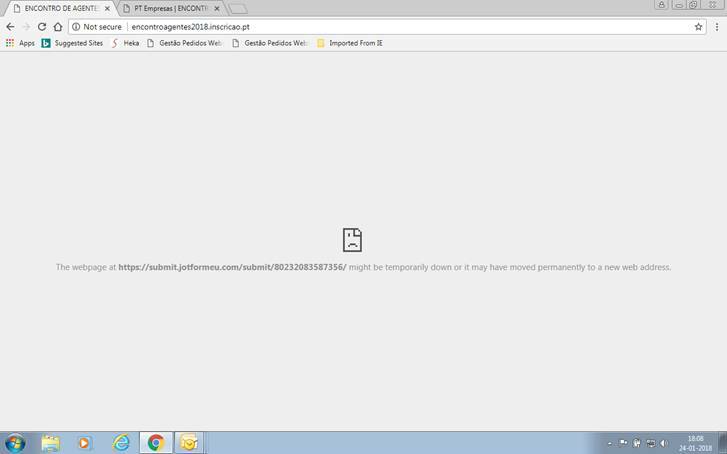 The most likely reason you are not able to access the form in the network but can access outside the office network and phone is that they may have blocked access to jotform using their firewall. You may request the IT team to Jotform IP for users to access the form in the network.